Such is the depth and complexity of Blake's prophetic works that one could spend a lifetime in study and interpretation, and some scholars, like Northrup Frye, S. Foster Damon and David V. Erdman have done just that. Scholastic Blakeans sometimes poke fun at "mystics, cabalists and pneumatics" (i.e., people like me) who read Blake as a prophet and guide to the Worlds Within. But that is just what the visionary painter and poet had in mind. And it seems to me that at least some of these scholars - especially the three just mentioned - have themselves taken the leap into Blake's world of Fourfold Vision. Blake's Fourfold Vision corresponds exactly to Dr. Jung's four functions of mind - intuition, emotion, sensation and reason (personified in Blake by the Four Zoas: Urthona, Luvah, Tharmas and Urizen). The onefold vision of pure reason is "Newton's Sleep." Blake also anticipated Dr. Freud's discovery of the conscious-unconscious dichotomy, though more felicitously expressed as "heaven and hell." Blake saw visions of God and eternity, conversed with angels, fairies, departed souls and boasted that his books were read and praised by Immortals. If he were around today he would surely be handed over to the Freudians, diagnosed a hallucinatory schizophrenic and drugged into stupefaction, and all his genius lost. I wonder how many creative geniuses the "wellness industry" has similarly destroyed. It is no coincidence that the rise of clinical psychology has been contemporaneous with the decline of culture. (There has regrettably been no corresponding decline in mental illness, you may have noticed.) Happily, Blake eluded the men-in-white to the end of his days, and left us a portrait of the psyche unrivalled by anything I've found in academic psychiatry. 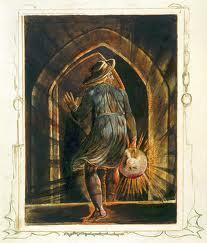 Long before Freud's "ego" and the new agers' "false self," Blake wrote of "the Spectre divided." The separated Spectre is the creator of war, religion, politics and every other form of madness. Abstract is the opposite of concrete, and "abstraction" was Blake's word for the oxymoronic "objective reality" of unimaginative reasoners; Abstract Philosophy warring in enmity against divine Imagination (J 5:58) The objective thinker sees truth as something outside himself and seeks to modify his thinking until it is in accordance with truth. Such a reasoner will find that heart, soul, will, emotion and intuition do not follow reason. He remains just a reasoner. The visionary poet is in the truth because the truth is in him. Abstract philosophy cannot be in the truth because the truth is not in the abstract philosopher. Jesus's "single eye" and Blake's "fourfold vision" - i.e., the union of the four psychopomps - are the same thing: seeing the whole picture, seeing through rather than looking at. When we see with, not thro', the Eye. Just as “the Word became flesh and dwelt among us, full of grace and truth” in the person of Jesus of Nazareth, Imagination is the incarnation of divine life in us. Rationalists do not deny the value of Imagination, but they do undervalue it. This world of Imagination is the World of Eternity. It is the Divine bosom into which we shall go after the death of the Vegetated Body. This World of Imagination is Infinite & Eternal whereas the world of Generation or Vegetation is Finite & Temporal. There Exist in that Eternal World the Permanent Realities of Every Thing which we see reflected in this Vegetable Glass of Nature. 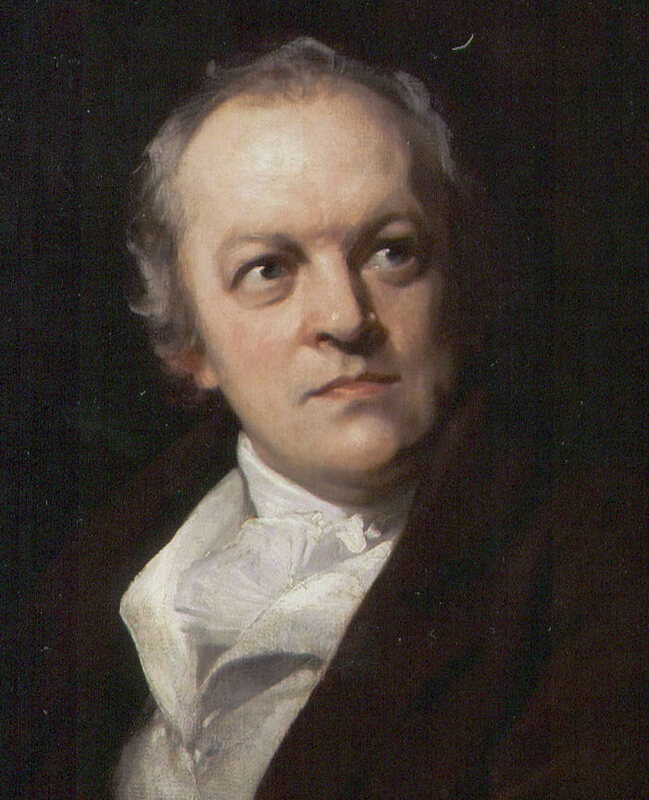 Scholars debate about JB’s degree of influence on Blake,* but the debate seems to line up in accordance with the scholars’ personal like or dislike for the former.﻿ The reader familiar with JB will see from the foregoing that his influence on WB was profound, but it would be too much to say that the poet was an interpreter or protege of the Teutonic Theosopher. As visionaries they were kindred spirits, but a visionary is too idiosyncratic to be anyone's disciple.